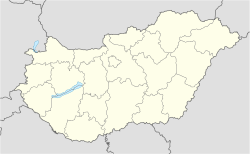 Siklós (Serbo-Croatian: Šikloš/Шиклош) is the 4th largest town in Baranya county, Hungary. 45°51′19″N 18°17′55″E﻿ / ﻿45.85528°N 18.29861°E﻿ / 45.85528; 18.29861. Wikimedia Commons has media related to Siklós. This page was last edited on 15 February 2019, at 21:44 (UTC).